In his speech at the presentation of Peter Badge’s ‘Nobel Heroes’ on 22 September 2017 at the Nobel Peace Center in Oslo, Bishop emeritus Gunnar Stålsett stressed the importance of science in times of global tensions. The former Vice Chair of the Nobel Peace Prize Committee was appointed a member of the Honorary Senate of the Foundation Lindau Nobel Laureate Meetings in 2013. “The Nobel Peace Center is like the eye of the storm. Irma, Maria, Kim Jong-un and Donald Trump: in diverse ways they all wreak havoc for millions of people, and threaten disaster for our entire human habitat. To stem these destructive tides of extreme weather and human folly, we need the wisdom of science and the calm of common sense. Against hatred and intolerance we need education and civil courage. This is what Nobel science and Nobel peace is about. This is what we celebrate today: a confluence of academic knowledge and moral conviction. This is wisdom. This makes peace great again. Every day, we are reminded of great threats to the human family and to our entire habitat. We are on the brink of a nuclear war. Hundreds of millions of lives are threatened by starvation and climatic catastrophes causing mass migration. National, ethnic and cultural extremism affect every region of the world. Violent religious extremism is seen in every religion. Hatred defeats the love of neighbours. The will of Alfred Nobel emphasised fraternity, not enmity, between nations, the reduction of standing armies, not an escalation in the development of weapons of mass destruction, peace congresses, not unilateralism. His are practical steps even in the 21st century. The concerted efforts of people of good will across social, ethnic, cultural and religious divides, from one generation to the next, are what will bring about a better tomorrow. In a vulnerable world, there are victims and there are heroes. Sometimes heroes sadly fail. Sometimes victims win the day. In the eye of the storm, it is still but not silent. Peace is dissent, expressed in loud protest. I believe we are all grieved by the tragic onslaught on the Rohingya Muslim population of Myanmar, not forgetting the tragedies of Syria and Yemen – to name but a few of the places where death and destruction reign. Thank you, Countess Bettina Bernadotte, for inviting me to offer a few remarks on this special occasion. I have been greatly inspired by your leadership of the Council for the Lindau Nobel Laureate Meetings. You have continued the wise direction of your predecessors, your father Lennart and your mother Sonja. 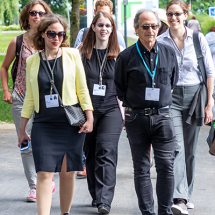 With eminent supporters and co-workers, such as Professor Wolfgang Schürer and Nikolaus Turner, the Lindau Nobel Laureate Meetings and its institutions have become the most significant academic encounter worldwide between Nobel Laureates and the new generations of scientists. Whether Lindau or Stockholm or Oslo, we are united at the crossroads of human endeavour for peace and justice. The occasion here today, the launching of Peter Badge’s ‘Nobel Heroes’, connects Lindau, Stockholm and Oslo as different members in one Nobel family, all dedicated to promoting the will of Alfred Nobel, through a symphony of science, peace and education. Peter has used his personal and professional skills to promote the Nobel legacy. No one has met more laureates literally, face-to-face, than he has. Through his photographic genius, we are brought closer to personalities who have contributed to fulfil the vision of Alfred Nobel. Life itself makes it impossible to isolate academic, scientific dedication from the challenges of responsible citizenship. 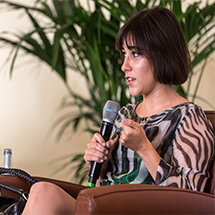 I share the wish of Nobel Laureate in Physics Steven Chu when he says “I hope you, the young Lindau scientists, will be moved to use your considerable talents to help enrich and save the world.” In a nutshell, this is what science is about. This is what peace is about. This is the highest aspiration of the human intellect and the shared yearning of humanity. Whether Lindau or Stockholm or Oslo, we are united at the crossroads of human endeavour for peace and justice. Let one example suffice: in the history of the Nobel Peace Prize, the abolition of weapons of mass destruction has most frequently been highlighted by the Prize Committee. The Lindau Nobel Laureate Meetings in 1955 issued the Mainau Declaration against the use of nuclear weapons. In 2015, Nobel Laureates initiated the Mainau Declaration on Climate Change. Both were signed by many laureates from all sciences. And both issues are shaping the agenda of heads of states this week at the United Nations. 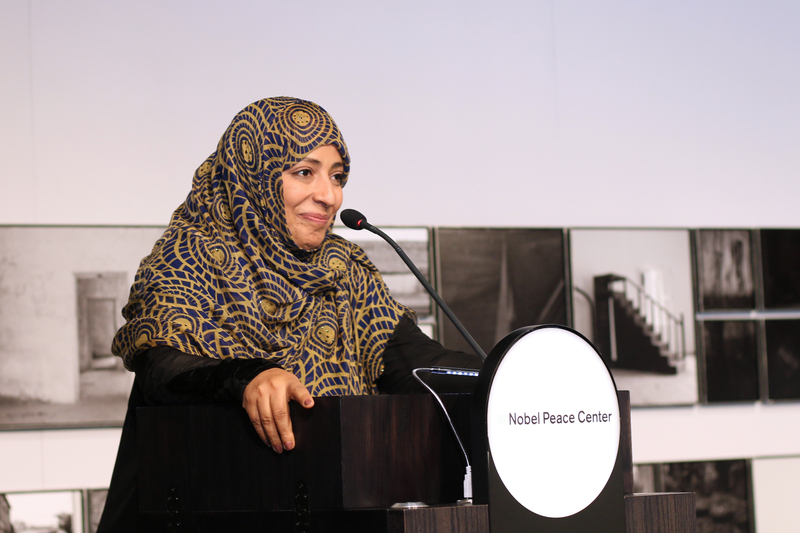 The presence here today of one of the Nobel Laureates of 2011, Tawakkol Karman, reminds us of the importance of women for peace and in the struggle for freedom of thought, freedom of expression, freedom of faith and freedom from fear caused by oppression and war. Again, by bringing all laureates together, Peter Badge’s work helps us to transcend the categories of sciences, literature and peace and to see ourselves as one mankind in one global community with one mission. Through the images of Nobel Laureates of all prizes, Peter Badge conveys a message without words. Through his lens we sense the greatness of the human mind and the depth of the human heart. I see his work, in the words of St. Francis of Assisi, as an instrument for peace. In summer 2017, renowned German publisher Gerhard Steidl released the coffee table book ‘Nobel Heroes’ (ISBN 978-3-95829-192-8). 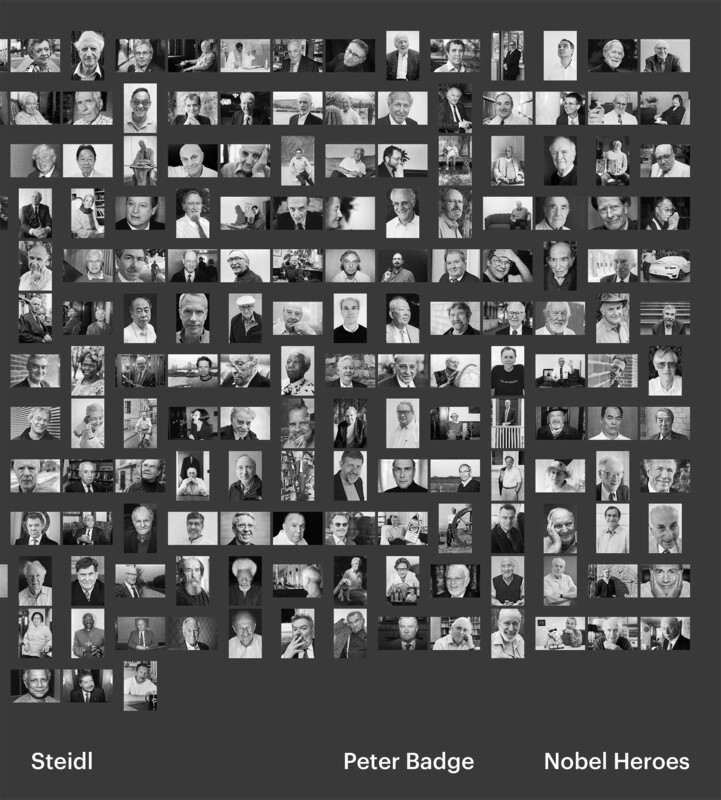 It compiles 400 portraits of Nobel Laureates by German photographer Peter Badge. 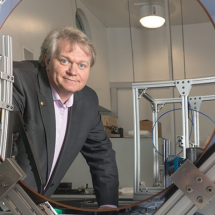 The project, commissioned by the Lindau Nobel Laureate Meetings, is supported by the German foundation Klaus Tschira Stiftung. This speech and other highlights of 2017 can be found in the Annual Report.